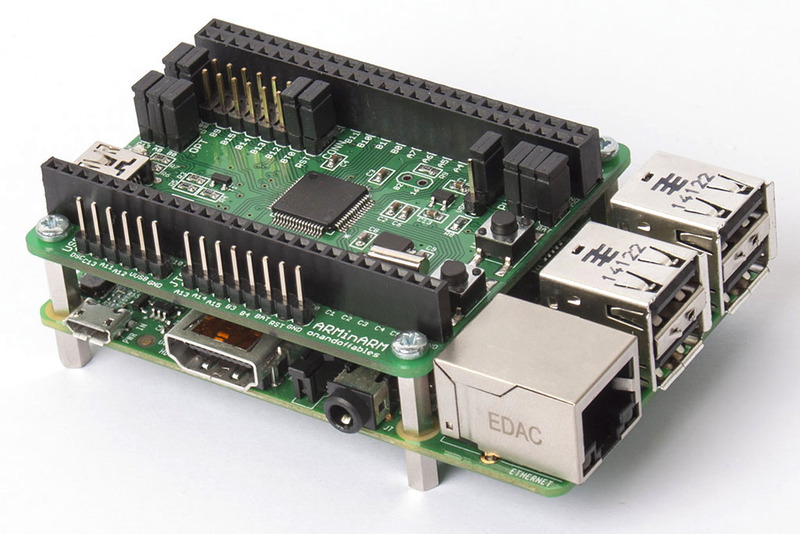 It’s called the ARMinARM board, by a company called OnAndOffables: a board with an STM103RE, sitting on top of the RasPi, with lots of connections to communicate through. I’ll briefly touch on alternatives, but I like this setup because of how these two boards work together. Unlike a Win/Mac/Lin setup, this combo has everything-in-one for development. As you will see, there’s quite a bit of potential in this little 7x6x3 cm package! 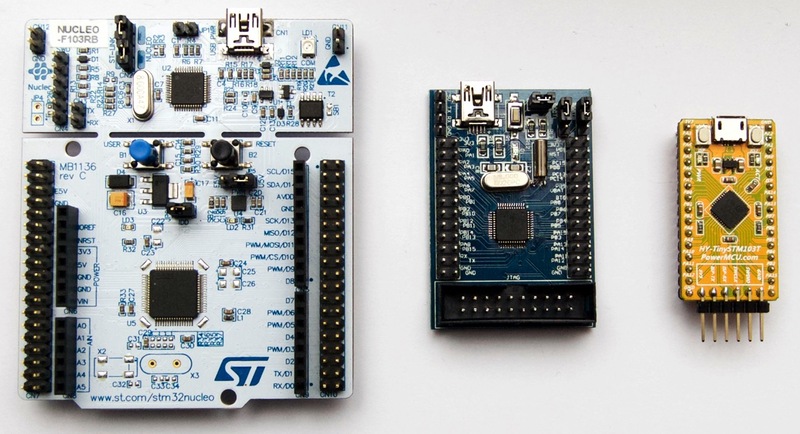 From left to right: an STM Nucleo F103RB (any Nucleo will do, though), a board from eBay (many vendors, search for “STM32F103C8T6 board”), and Haoyu’s HY-TinySTM103T. Each of these supports uploading, serial “pass-through” connection, and h/w debugging. Building one of these, or getting a pre-built & pre-loaded one, is a really good investment. 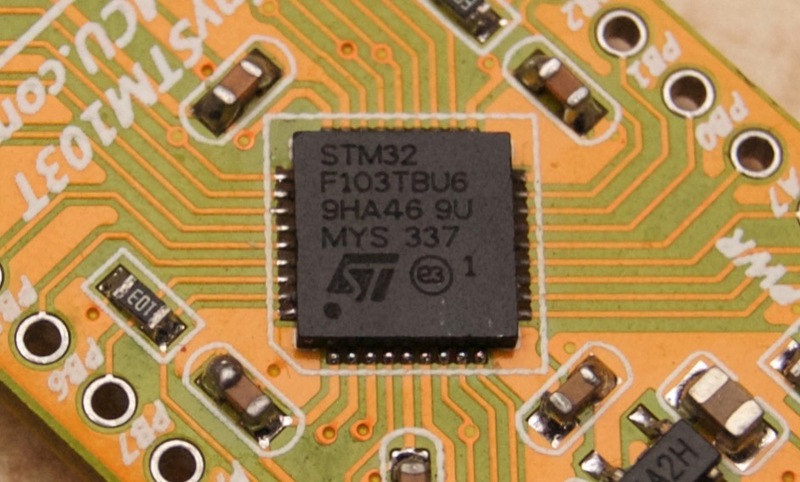 When dealing with ARM µCs and boards based on them, there’s always one big elephant in the room: how to upload software to them, and how to talk to them via serial or USB. The available options, choices, trade-offs, and even just their properties can be staggering. This week’s article series is about what the problem is, an overview of the many different ways to address them, and how to get started with the minimal fuss and/or minimal cost. Fortunately, we’ll need very little to get going. We can pull ourselves up by our bootstraps! As announced last week, I’ll be switching (pouring?) my efforts into a new series of µC’s for a while, so there’s quite a bit of work ahead to get going, and I really don’t want to dwell too much on the basics. The whole point is to get further, not redo everything and get nowhere!